I am a Helsinki-based philosopher of popular culture and the arts, with an additional history in performance art, gallery management (ROR Gallery, Kallio Kunsthalle, Gallery KLEIN), critique, essays and art writing (Kunstkritikk, Flash Art, Art Pulse). Research-wise I right now stand at the crossroads of phenomenology, critical theory, Medieval Indian and Arabic philosophy, pragmatism and cultural studies – without forgetting the queminist, post-colonialist and class-related twist which most of my work somehow includes. Topic-wise I have worked on e.g. contemporary art, body philosophy, appropriation, urban aesthetics, aesthetic experience, kitsch and critical perspectives on art. Lately I seem to have been drifting also into more general questions in philosophy (robots, dialectics). As a PhD/Docent in aesthetics, ex Chair of the Finnish Society for Aesthetics (2014-2018) and member of the board of the International Association of Aesthetics (2014-2018), I have naturally published articles on ‘pure’ philosophy of art e.g. in journals like Contemporary Aesthetics (another one here), Nordic Journal of Aesthetics, Journal of Somaesthetics and Terra Aesthetica, but most of my work is still semi-practical, essayistic or something which you could refer to as applied aesthetics. 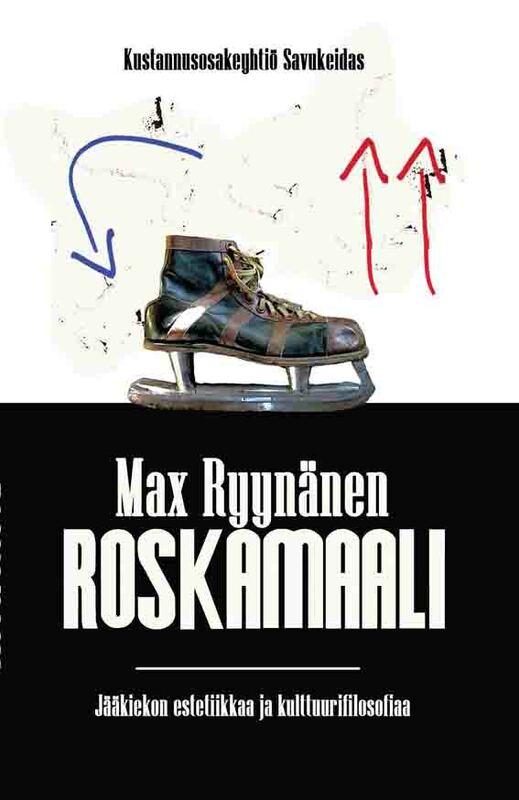 In Finnish I have published essay books (on ice hockey and film) and in art journals (Art Pulse, Flash Art, Atlantica Internacional, Kunstkritikk) I have published philosophical interviews and theoretical essays. 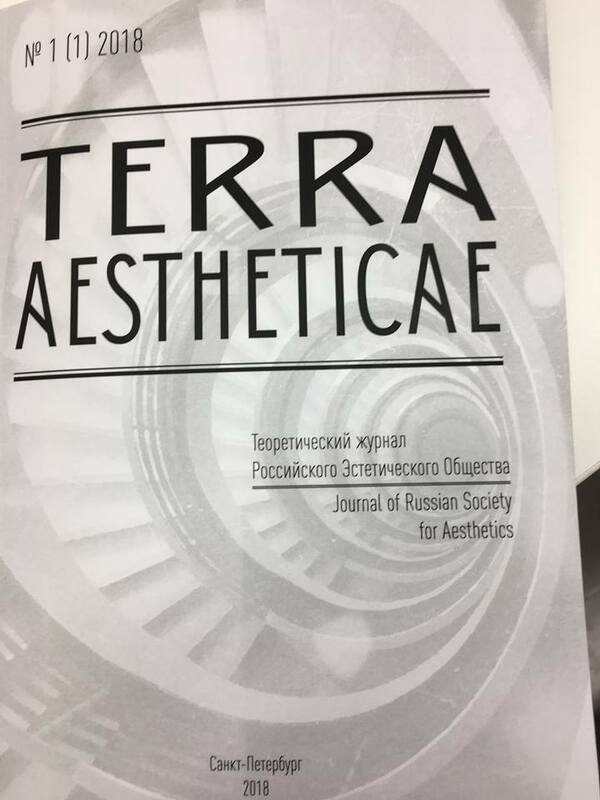 Currently I am on the editorial board of The Journal of Somaesthetics, and on the advisory boards of Terra Aestheticae, Aesthetica Universalis, the Finnish journal for art education Births and the Finnish journal for artistic research Ruukku (I am also ex board member in The Nordic Journal of Aesthetics). 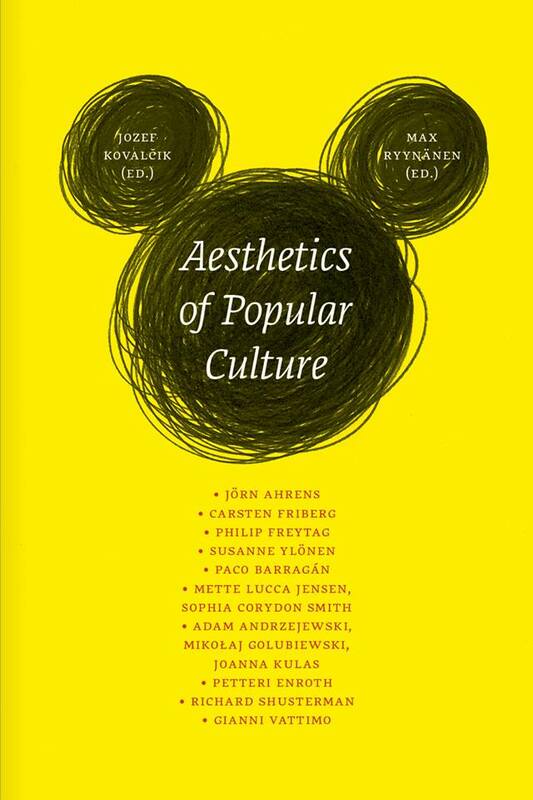 I am also the proud editor in chief (and founder) of Popular Inquiry: The Journal of the Aesthetics of Kitsch, Camp and Mass Culture (together with Jozef Kovalcik). My current interests include: How to discuss the way people try to escape their (white middle) class identity with lowbrow-leaning consumerism? What is an art scene, really? Could robot cars in the end be more ‘human’ than man-driven cars? Could the medieval Indian rasa theory offer us a tools for understanding of today’s TV series? Do we sometimes watch films more with our bodies then minds, and if we do: how could we discuss this philosophically? Art, Excess, and Education: Historical and Discursive Contexts. Ed. with Kevin Tavin & Mira Kallio-Tavin. 3rd editor. New York: Palgrave Macmillan. Incl. my article “Sending Chills Up My Spine: Somatic Film and the Care of the Self”. 2019 Fall. “From Haunted Ruin to the Most Touristified of All Cities.” In Jeanette Bicknell, Jennifer Judkins and Carolyn Korsmeyer (eds), Philosophical Perspectives on Ruins, Monuments and Memorials. London: Routledge, 2019 Fall. Special Issue: Body First. Somaesthetics and Popular Culture. Editor (together with Jozef Kovalcik). 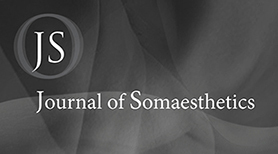 The Journal of Somaesthetics 2019: 1 (Spring). “Living Beauty: Rethinking Rap.” The Journal of Comparative Literature and Aesthetics, 2019 Fall. Aesthetics in Dialogue. Applying Philosophy of Art in a Global World. Ed. with Zoltan Somhegyi. 2nd editor. Berlin: Peter Lang, 2020. “A Handful of Takes on the Body.” The Journal of Somaesthetics. 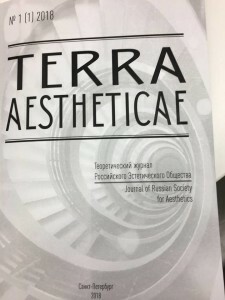 Vol 4, 2019: 2, Special Issue: Somaesthetics and Technology. Review (Richard Shusterman (ed), Aesthetic Experience and Somaesthetics). “Downgrading with Style: Middle Class Anxiety and the Aesthetic Performance of Role Distance“. Poetics. Together with Jarkko Pyysiäinen (who is here author 1), Internet version published and ready for reference, final paper issue still open). “Contemporary Kitsch: The Death of Pseudo Art and the Birth of Everyday Cheesiness (A Postcolonial Inquiry),” Terra Aestheticae, Vol I (Theoria), 2018: 1, 70-86. Learning from Decay: Aesthetics of Architectural Disintegration, with Zoltan Somhegyi (co-written), Frankfurt am Main: Peter Lang, 2018. “Low Theory and Crazy White Men: An Interview with Jack Halberstam.” Popular Inquiry, Vol 2, Spring 2018, 2-9. “Rock Me Amadeus: Aesthetics and the Highbrow Appropriation of Lowbrow.” In Zoltan Somhegyi (ed), Yearbook of the International Association for Aesthetics. Sharjah: IAA, 2017. 186-196. “Aesthetics of Distance.” Aleksi Malmberg & Annukka Vähäsöyrinki (eds). Home Re-assembled. 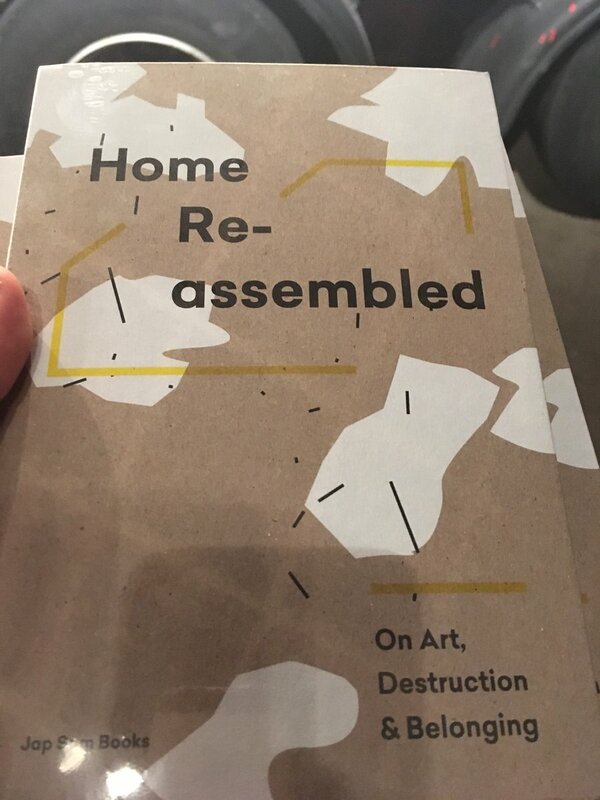 On Art, Destruction & Belonging. Rotterdam: Jap Sam Books, 2017. “Margins of Aesthetics.” With Jozef Kovalcik. In Contemporary Aesthetics 2016 (Vol 14). “Throwing the Body into the Fight: The Body as an Instrument in Political Art.” The Journal of Somaesthetics 2015: 1. Vol 1: Somaesthetics and Visual Art. 108-121. “New Laokoon. 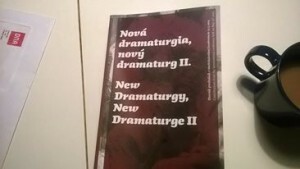 On Dramaturgization or Dramaturgy as the Key to Understand the Role of the Artist Today.” In New Dramaturgy – New Dramaturge II. Ed. Vladislava Fekete. The Theatre Institute, Bratislava, 2015. 56-62. “Teaching as a Work of Art.” With Taina Rajanti and Pia Euro. In Teija Löytönen (ed). Synnyt/Births (Finnish Journal for Art Education) 2015: 2. 41-61. Aesthetics of Popular Culture. Ed. with Jozef Kovalcik. Bratislava: Slovart Publishing. 2014. * “A History of Aesthetics of Popular Culture” with Jozef Kovalcik. 14-49. * “The High, the Low, and the Weak. An Interview with Gianni Vattimo”. 234-240. * “Pragmatism and Popular Culture. An Interview with Richard Shusterman” with Jozef Kovalcik. 228-233. “From Pragmatism to Fusion Philosophy.” Review. 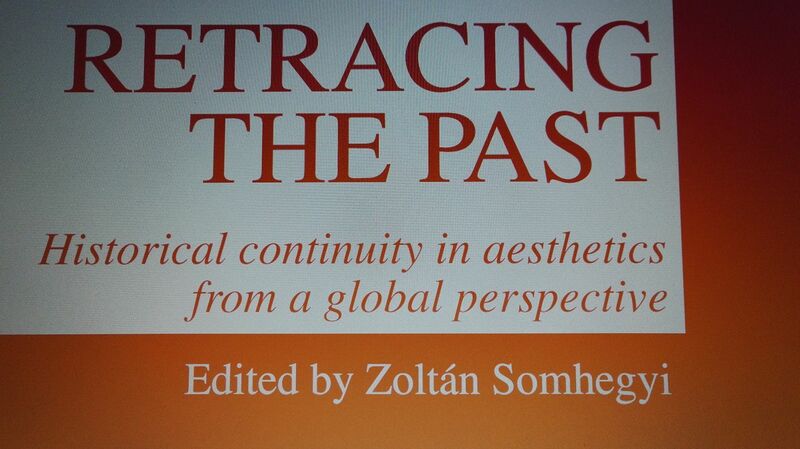 Nordic Journal of Aesthetics: 2014: 2. 149-156. Elokuva, rakastettuni! [Film, mon amour!] Turku: Savukeidas, 2013. “Institutional Stress. When Bureaucracy Replaces Art.” Art Pulse. Spring 2012. “Traveling alone? 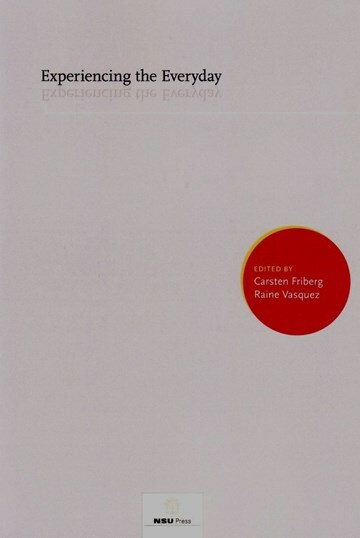 Ideas for a (better) future aesthetics of touring.” In Johanna Hammarberg & Martina Marti (eds): Touring in Scandinavia and the Baltics: Bridging Regional and International Perspectives. Helsinki: Baltic Circle / Tekijä. 8-11. ”Pakko nauraa. Camp korkeakulttuurina ja lasikattona”. [Forced Entertainment. Camp as high culture and glass ceiling.] Nuori Voima 2012: 4. 38-41. Roskamaali. Jääkiekon estetiikkaa ja kulttuurifilosofiaa. [Garbage Goal. 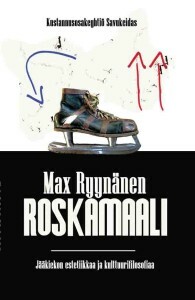 Aesthetics and Cultural Philosophy of Ice Hockey.] Turku: Savukeidas. “Art and Education – or the dark side of pedagogy. A dialogue.” With Christiana Galanopoulou. Synnyt/Origins. Finnish Studies on Art. 2011 September. 1-16. “Estetiska debatter inom ishockeyvärlden.” Ed. Valdemar Lindekrantz. Sudden Death. Bilder av ishockey. 16-21. Göteborg: Scopium, 2009. Learning from Venice. What a unique city can teach about the aesthetics. PhD dissertation. 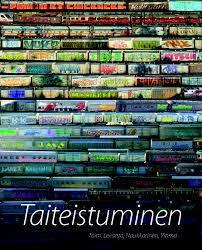 Helsinki: University of Helsinki, e-thesis series. “Euroopan (museo)ryöstö, vanhan taiteen paikkasidonnaisuus ja digitaalinen vallankumous – Museofilosofiaa uudelle ajalle.” Kuriositeettikabi.net 2009: 1. “The Role of the Festival Audience”. In Johanna Hammarberg (ed) Theatre Festival Dictionary. Helsinki: Baltic Circle. ”Estetiska debatter inom ishockeyvärlden.” Ny Tid, Kontur 2008: 2. 4-5. “Pinkkiä posliinia. Kitschin nykyhetki, oppaana Jeff Koons..” Toim. Seppo Knuuttila & Ulla Piela. Kansanestetiikka. Kalevalaseuran vuosikirja 87. 43-52. Helsinki: Kalevalaseura, 2008. “Silloin kolahti!” Parnasso 2007: 3. 26-31. “Oskillaation massakulttuuri. Gianni Vattimo et al nykyaikaa etsimässä.” Synteesi2007: 1. 59-80. “Lopputyön teoreettisen osan ohjaamisen erityisongelmia taideyliopistoissa.” Synnyt2007: 2. 54-61. ”Liikkuminen ja liikenne Venetsian estetiikassa” Toim. Arto Haapala & Ossi Naukkarinen. 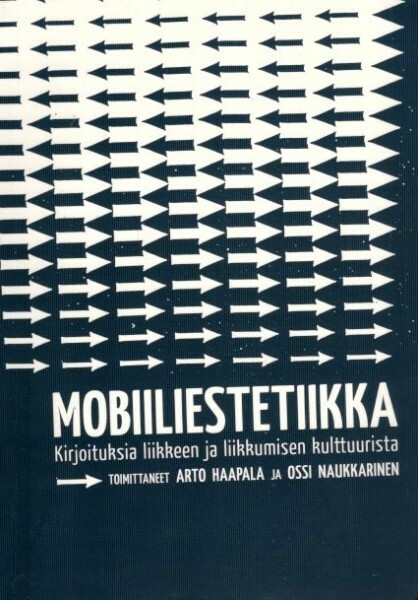 Mobiiliestetiikka. Kirjoituksia liikkeen ja liikkumisen kulttuurista. Kansainvälisen soveltavan estetiikan raportteja no 3. 157-174. Lahti: Kansainvälinen soveltavan estetiikan instituutti, 2006. “Nobrow.” Toim. Yrjänä Levanto & Ossi Naukkarinen & Susann Vihma. Taiteistuminen. 155-163. Helsinki: TAIK, 2006. “Kätilö kasvattajana ja kasvatettavana. Teorian opettamisesta taiteilijoille” Synnyt. Taidekasvatuksen tiedonala 2006: 4. 34-40. ”Ajatuksia sodan ja terrorismin estetiikasta”. Kanava 2005: 6. 392-393. Learning from Venice. Contemporary Aesthetics, Special Volume 1 (2005): Aesthetics and Mobility. Nobrow. Nordic Journal of Aesthetics. 2005 (32). 86-98. Umberto Eco: James Joyce, Teräsmies ja vesinokkaeläin. Helsinki: Yliopistopaino, 2005. 258 s. Ed. with Tarja Knuuttila. Contributors: Eero Tarasti, Hannu Riikonen, Jan Blomstedt, Harri Veivo, Klaus Brax, Erna Oesch, Tarja Knuuttila, Max Ryynänen. The Double Life of Jeff Koons’ Made in Heaven Glass Artworks. 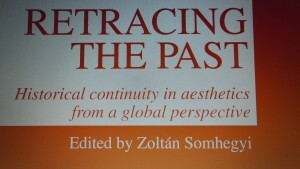 Nordic Journal of Aesthetics. 2004 (29-30). 99-111. “Tutkijan roolista ja julkisesta keskustelusta.” Tiedepolitiikka 2004: 4, 53-57. “La experiencia estética del 11 e septiembre / The aesthetic experience of the september 11th”. Atlántica Internacional, Verano 2003, pp. 133-135. ”John Deweyn estetiikka.” Synteesi 2003: 4, 10-22. ”Venetsialaisia eskatologioita”. Kulttuurintutkimus 2003: 3, 45-52. ”Terrorism and Aesthetic Experience (or take a cigar, Buddy! )” On Khaled Ramadan’s work. Ed. Marita Muukkonen. ArTErrorIsm. 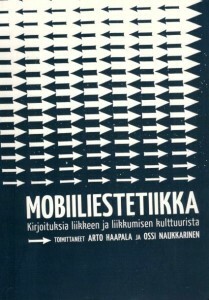 Poster inside the book. Ecoistin elämää. 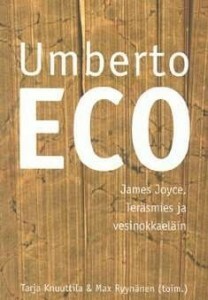 Mini-esseitä Umberto Econ 70-vuotissyntymäpäivien kunniaksi.Synteesi 2002: 1. 80-107. Toim. Tarja Knuuttilan kanssa. Kirjoittajat: Jaakko Hintikka, Oiva Kuisma, Jan Blomstedt, Harri Veivo, Erna Oesch, Klaus Brax, Tarja Knuuttila ja Max Ryynänen. – ”Massakulttuuri, alemmat taiteet ja kulttuurihierarkiat.” 85-87. ”Jeff Koonsin Made in Heaven –lasitaideteosten ontologinen kaksoiselämä.” Synteesi 2002: 4, 58-66. 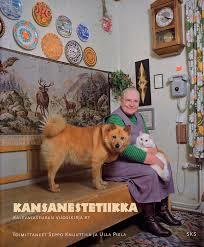 ”Konst, kitsch och kvasi-kitsch.” Ny Tid 2002: 49. 6-7. “Umberto Eco, televisio ja kitsch.” Filmihullu 2001: 6, 19-20. 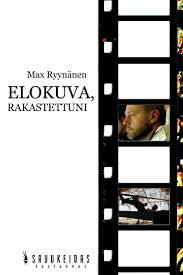 ”Henry Parland ja elokuvataide.” Filmihullu 2001: 3, 18-23. ”Kitschgeneraattorit – toinen sukupolvi”. Taide 2000: 6. 18-21. ”Massakulttuuri in Memoriam.” Kuva 2000: 2. 28-31. ”Taiteet puntarissa: Richard Shusterman, taide ja populaaritaide” Taide 1998: 3. 44-45.